The construction of the first Sherpa XL is proceeding rapidly and is entirely on schedule. 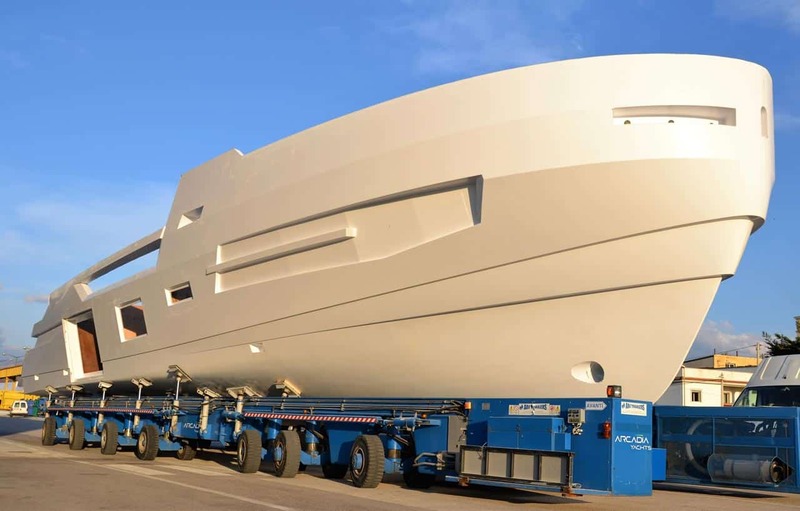 The new yacht of the Italian shipyard will be yet again an innovator and a turning heads model with features typical even of the world of 85-90 footers. Its international debut will be at the Cannes Yachting Festival 2019 (10-15 September). To date, the shipyard has completed all carpentry work on the new Sherpa XL, as well as finishing the work to connect the hull and deck. At the same time, as scheduled, the electric systems, the insulation layers and the hydraulic and mechanical systems are being installed. The areas on board the new Sherpa XL yacht make the best use of the vessel’s 24 metres of length and especially of the beam, which is nearly 7 metres (compared to the average 6.3 metres of the 85-to-90-foot yachts on the market), offering an incredible 220 square metres of interior and exterior living space. The concept of the Sherpa XL yacht, developed in collaboration with the Milan-based Hot Lab design company, develops around the layout of the decks. The bow decks are split to develop a central flight of stairs with small differences in height. This particular ‘jigsaw’ layout provides considerable space in a relatively small height, which allows to obtain interesting results with volumes.